The installation of the new bespoke pyramid rooflights, has been completed on site. These visually striking and iconic units, were installed as part of a technically challenging façade, that also included mono-pitch rooflights, fabricated using Aluprof’s MB-SR50N EFEKT curtain walling system. Now that installation has been completed, they will only serve to add to the already impressive London skyline. Windell have been successfully appointed as the Glazing Contractor on the re-development of the prestigious South Bank Centre in London. 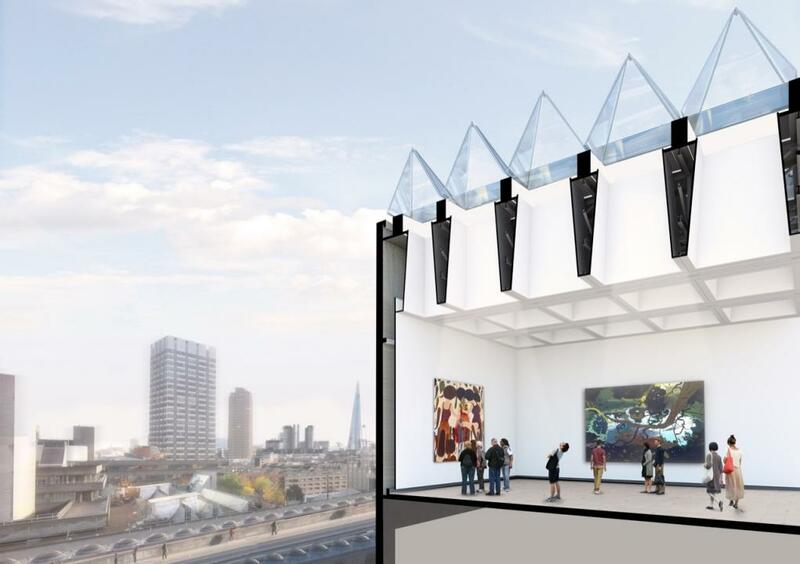 Windell's services have been engaged to carry out the extensive Glazing Works on the project, which will include the Design, Procurement, Supply and Installation of all glazing elements to the Hayward Gallery, Purcell Room and the Queen Elizabeth Hall. The project will involve a large degree of bespoke Glazing elements and will include Supplying and Installing Curtain Walling, Doors, Roof lights, Roofing and Glazed Pyramid Lanterns. The world famous arts centre is situated on the South Bank of the Thames and attracts thousands of Musicians and Artists to perform every year.